Hi there! I’m Jessica from Craftiness is not Optional, and I love making Barbie® clothes. I also like making them easy to make. They’re tiny enough-no need to complicate things! 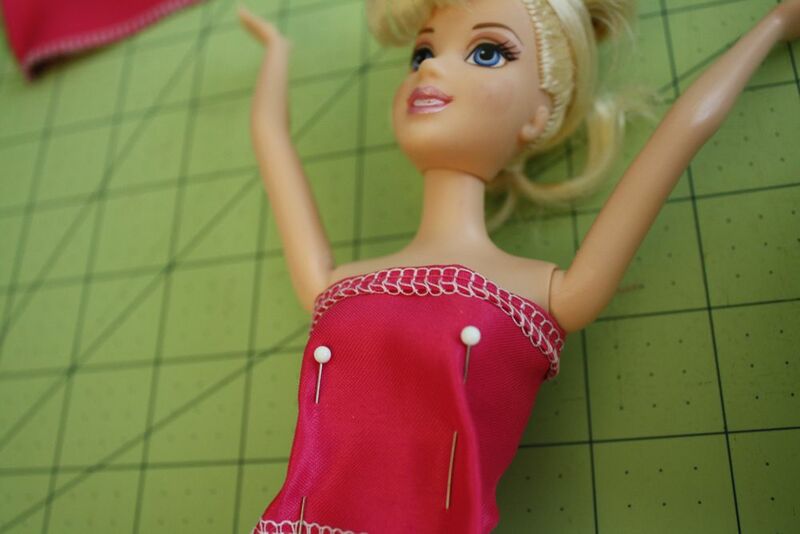 So I’m on a quest so to speak, to make Barbie® clothes easier to sew! Here’s a fun tutorial for a pretty ball gown! here are your pieces…first we’ll mess with the skirt piece a little. 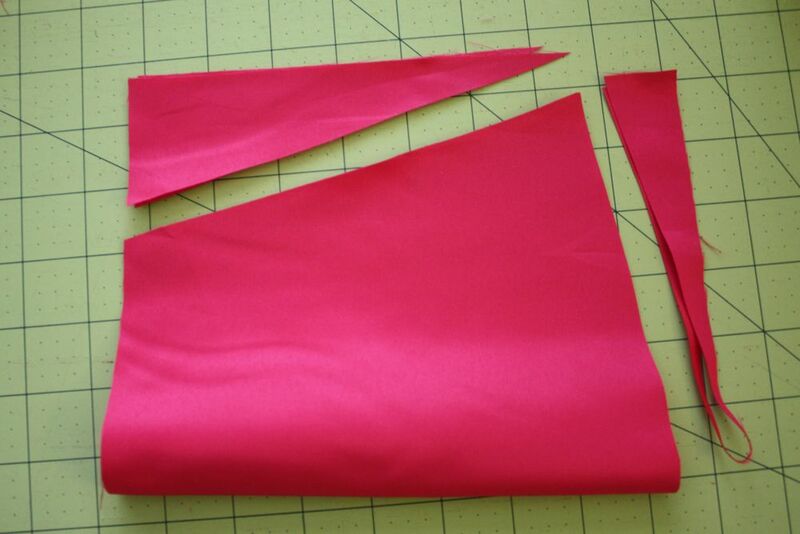 Fold it in half width wise, and trim a little off the bottom, and sides so it looks something like this. 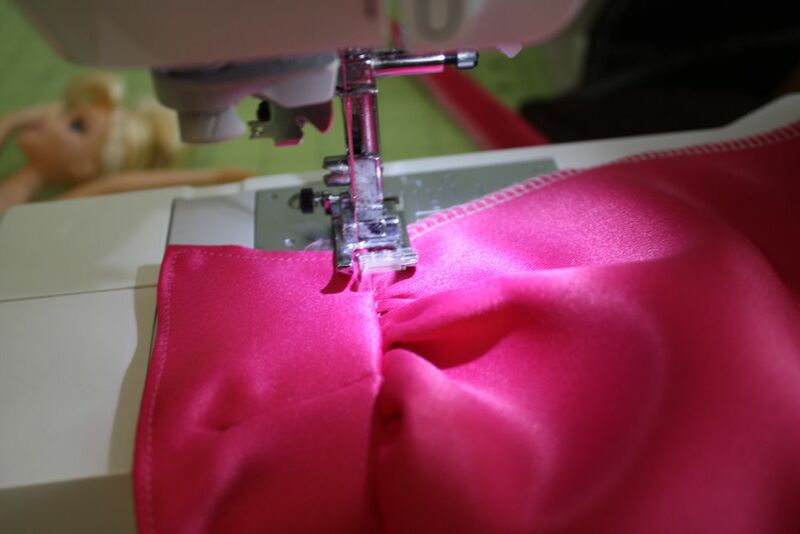 It doesn’t have to be perfect-we’re just trying to shape the skirt a little. 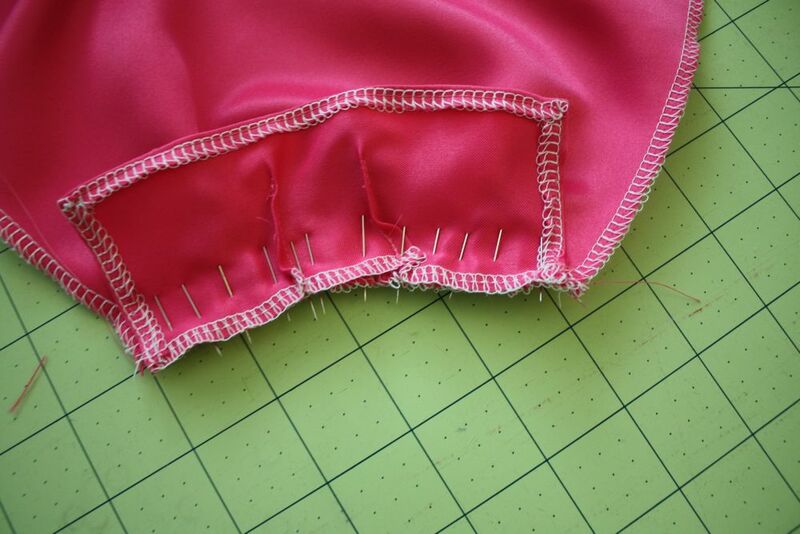 Now, serge or zig zag stitch your skirt and bodice pieces. Your long skinny piece you’ll sew into a tube, right sides together. Turn that right side out and press with your iron. We’ll come back to that. 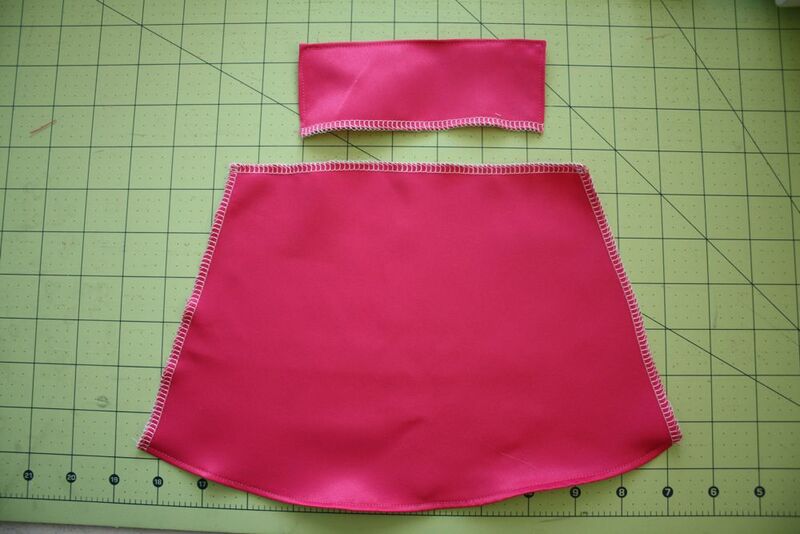 Next, hem your skirt and hem the sides and top of your bodice piece. Pin the back together so it’s snug, and then pin the front like so for the darts. 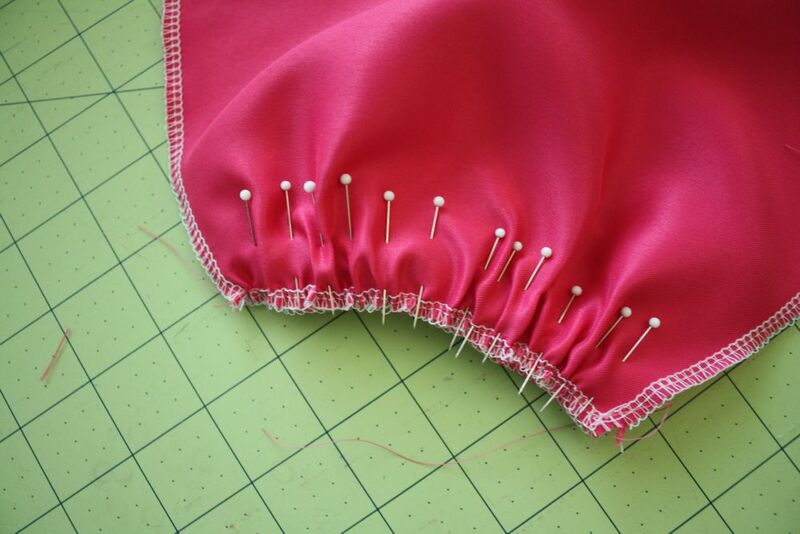 Now sew a basting stitch along the top of the skirt, and gather to fit the bottom of your bodice. 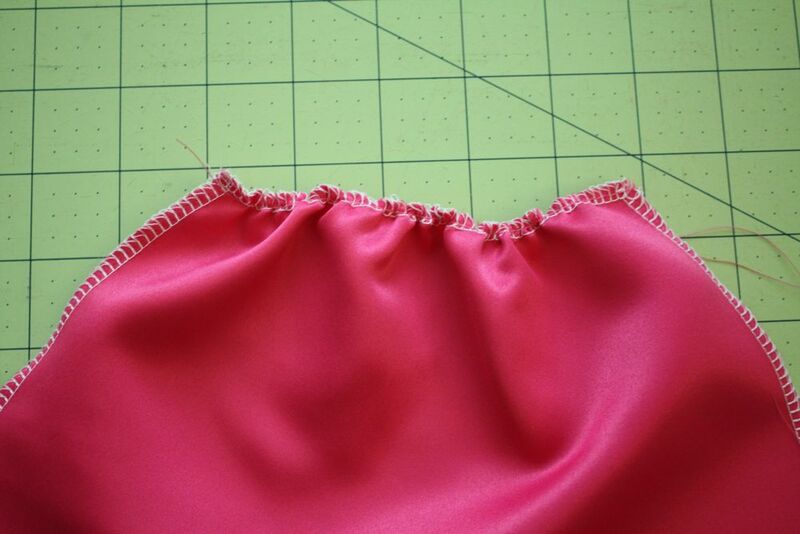 pin to your bodice-on one side, let the skirt hang over the edge a little bit like so. a good trick to get nice gathers…pin every. single. one. My mom taught me that. Sew those pieces together with about 1/2 inch seam. Top stitch along the bodice. 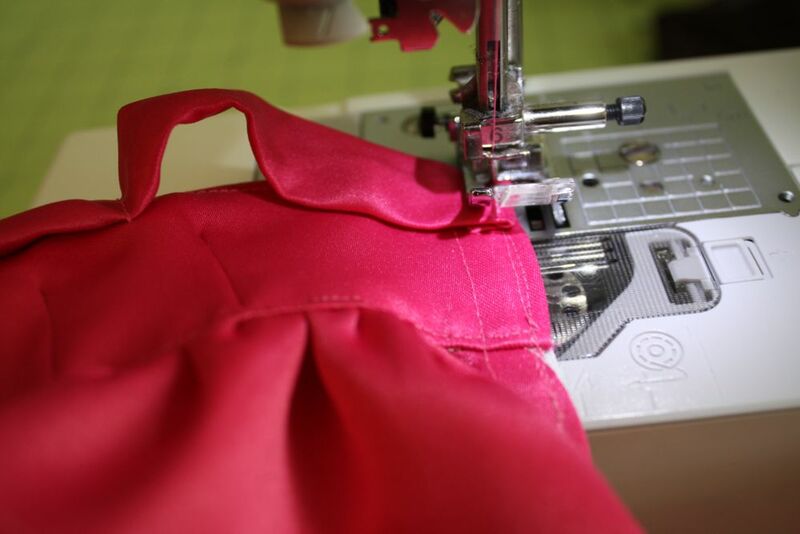 Now pin your skirt right sides together-and sew down about 4 inches from the bottom. 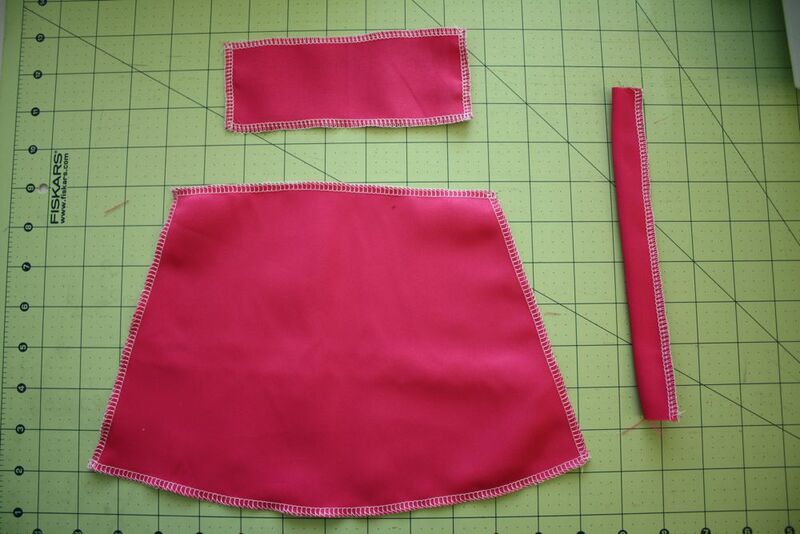 Now take that extra bit of skirt, fold in in, and sew along the edge. 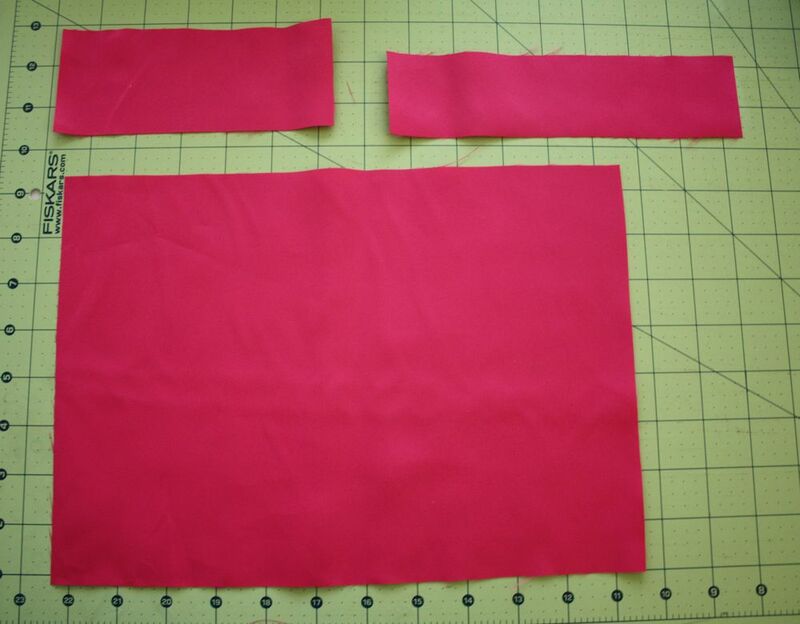 Sew on your velcro pieces (cut to about 3 inches long) along the bodice and skirt. 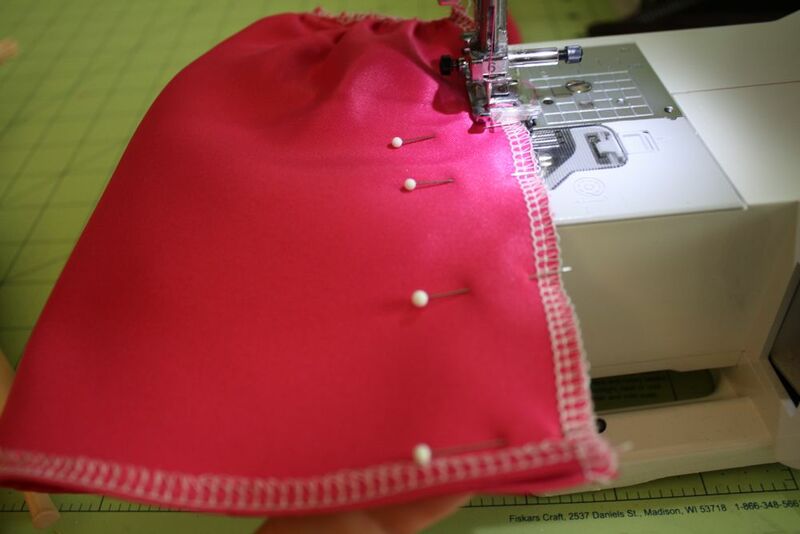 Now, take your tube of fabric, and, finding the middle, sew that to the middle of your bodice. Wrap it around the shoulders, fold under, and pin like so. Then sew them down, sew on a pretty button or bling bling-and there you are! 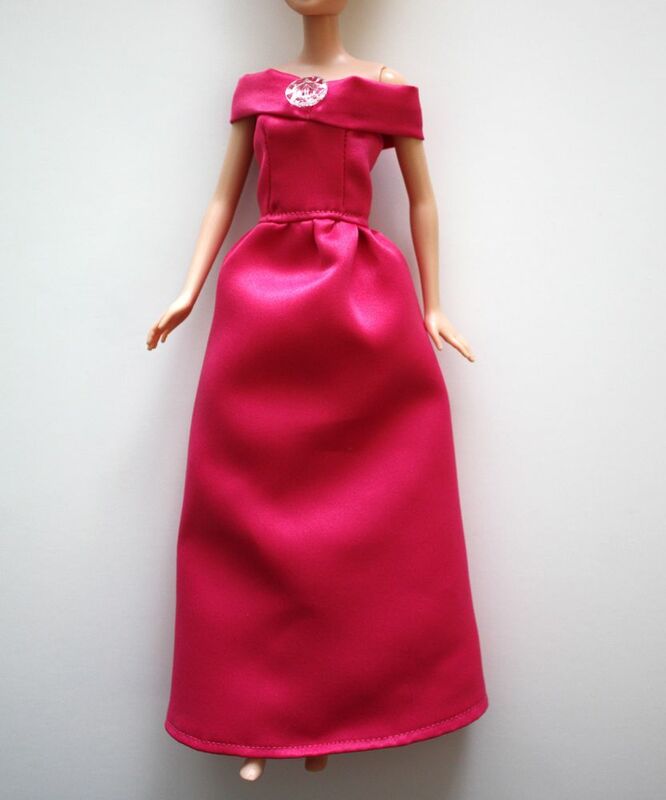 A cute, off the shoulder ball gown for Barbie®! I used the same technique for a Belle dress. My daughter LOVES this one! A wedding dress is in the works too! Thank you Kari, for having invited Jessica … and thanks to Jessica for this tutorial so simple and so elegant! 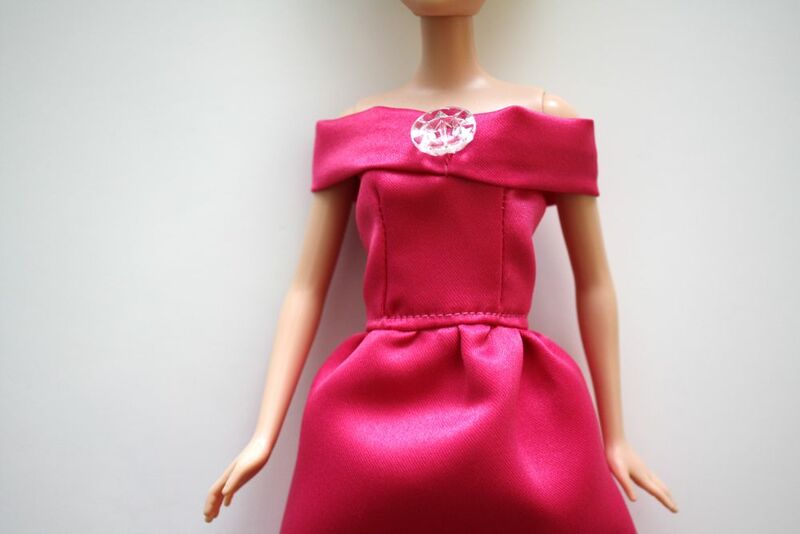 Only the Barbie to have a dress as beautiful as this. Very,very thank for this super tutorial! So pretty. Thanks for the tutorial. This is so awesome!! I linked up your tutorial over at Craft Gossip. Really cute. I used to make lots of Barbie doll clothes. It would have been awesome to have had a computer to research all these things. I stayed up all night as it was and still do. Thanks for sharing. Oh, wow. Those are incredible. 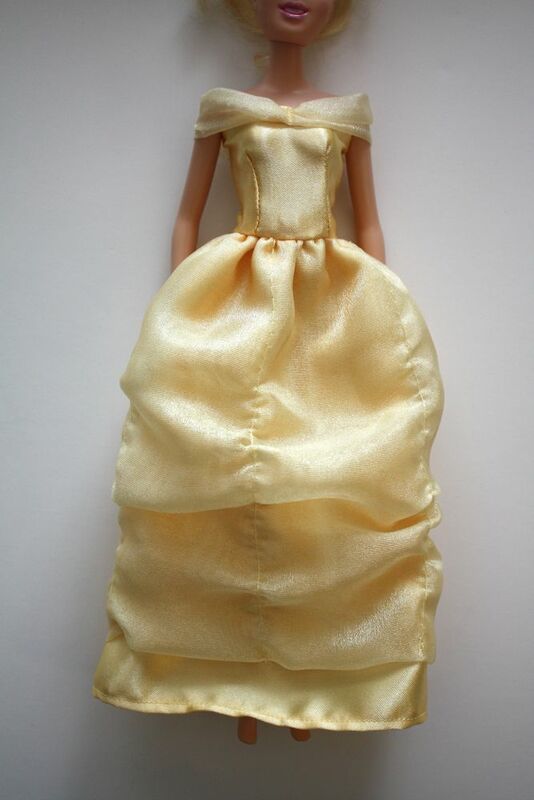 I used to hand sew my barbie clothes when I was 7, of course, nowhere near as elegant as these! Love the dresses. so cute! I just love seeing this as a tutorial 🙂 well done! Too Cute!!!! I love knowing I’m not the only adult still into her Barbie! Luckily I have Grand daughters and Great Nieces I can create for. Thanks for the lovely patterns and the inspiration! Guess what I’m gonna do all afternoon? Great photos and very simple instructions! Thank you so much! this is great. was looking for an easy pattern to make dresses for the girls to decorate at a birthday party and this is perfect and easy. 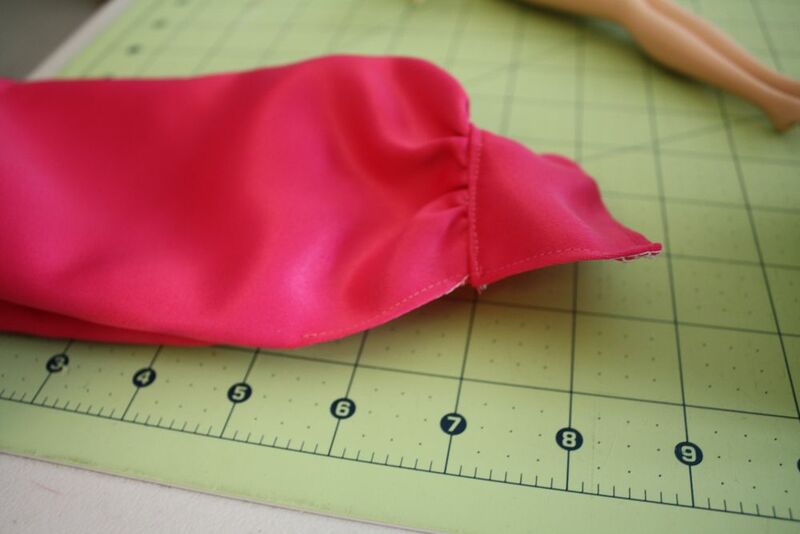 I’ve wanted to sew some pretty dresses (other than simple tubes) for my daughter’s dolls. 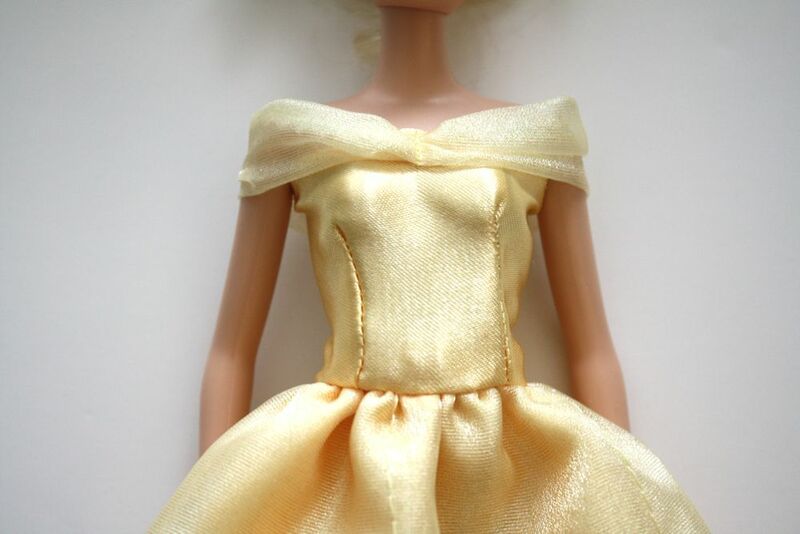 Actual barbie clothes are way too expensive for my tastes, but ball gowns look so complicated… these look doable and simple, as well as beautiful! Thank you so much! For those wanting to find real, printed patterns for Barbies, and Kens too, check thrift stores. They come and go fast, but they often have the patterns you are looking for. You can also find those patterns for sale on line (like at eBay and esty). 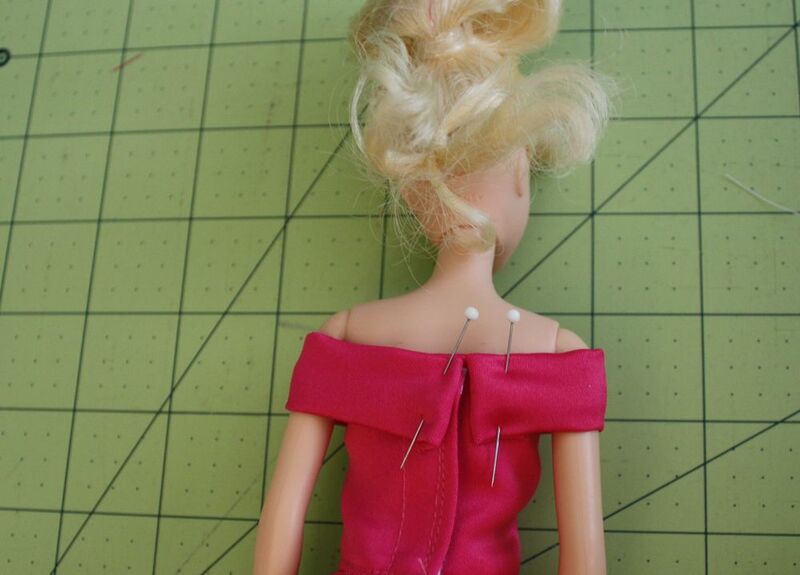 I still love sewing for a little girl’s Barbie too! P.S. Note that you need to check the fitting. 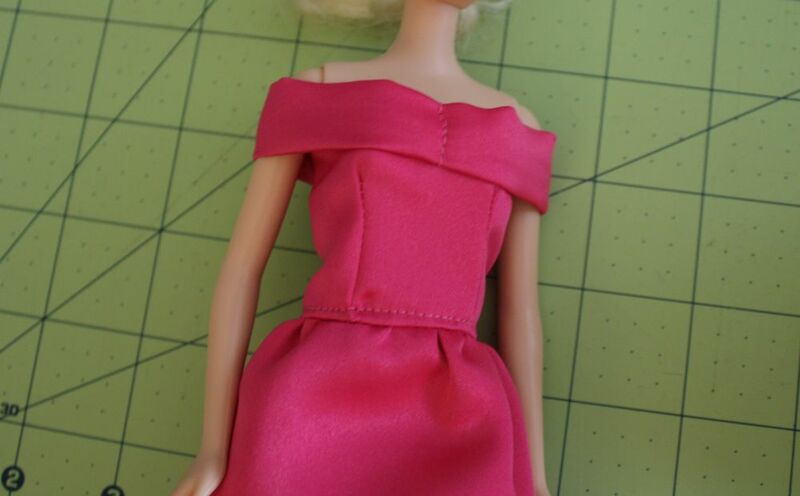 My 1965 Barbie has different measurements than some newer ones.